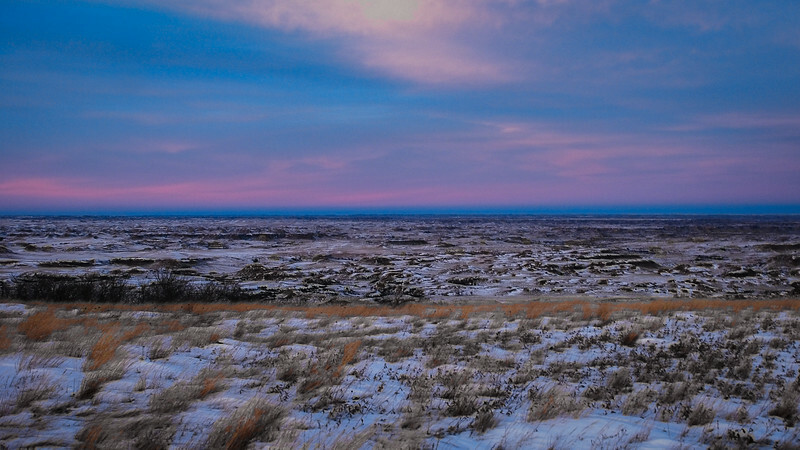 Our goal was to see what we hoped would be a brilliant winter sunset from one of the highest points in North Dakota. Just as brilliant was the eastern sky, with it's blues and pinks, as the grass before us began to glow with gold as the sun set to the west. Spellbinding, nearly hypnotic!